Donald Trump will visit the UK in December to take part in a Nato summit, it was announced today. 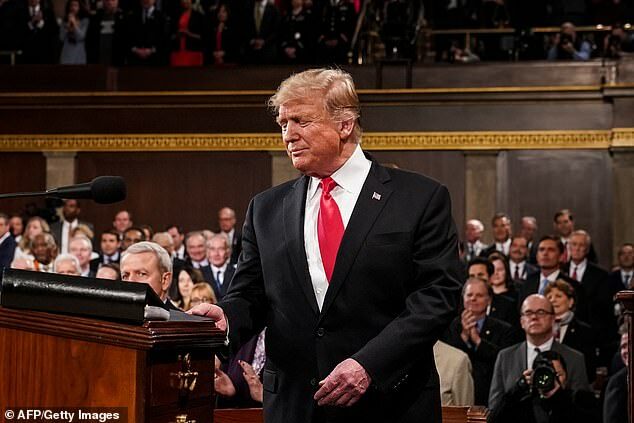 The US President will be among alliance leaders to take part in the regular meeting amid rising concern about the threat from Russia. Nato Secretary General Jens Stoltenberg announced the summit this morning. 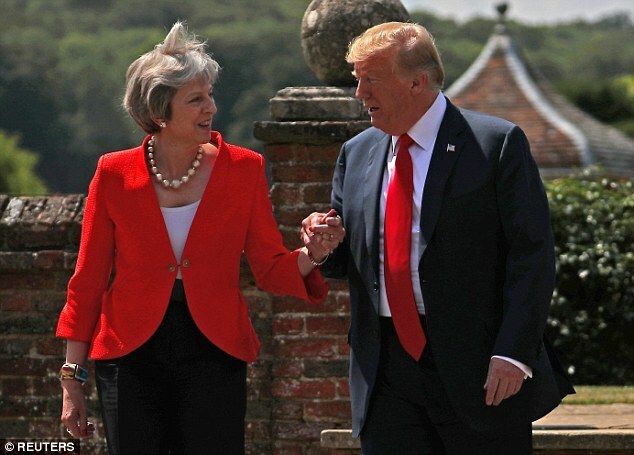 Mr Trump finally made his first visit to the UK as President in July last year. He is also due to make a full-blown state visit at some point but the trip has been frequently delayed amid fears of protests. 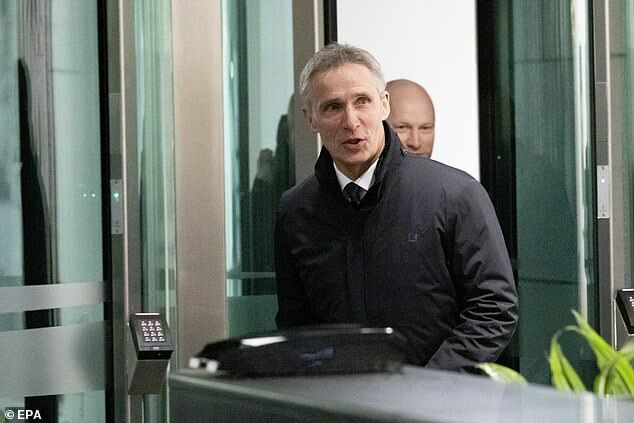 Mr Stoltenberg said: ‘I am pleased to announce that Allies have agreed that the next meeting of Nato Heads of State and Government will take place in London in December 2019. ‘We are grateful to the United Kingdom for agreeing to host this meeting in Nato’s 70th anniversary year. ‘London was the home of Nato’s first headquarters. The United Kingdom was one of the Alliance’s twelve founding members and continues to play a key role in the Alliance, making essential contributions to our shared security. 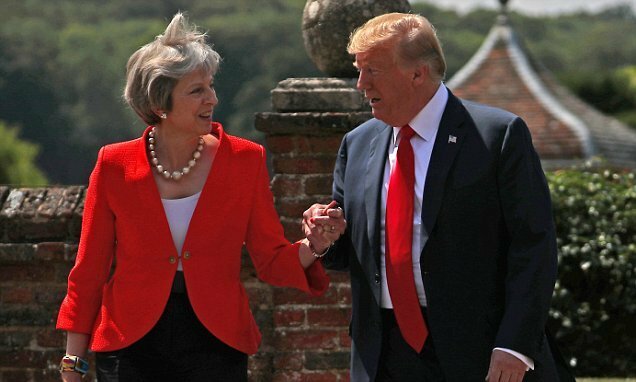 Prime Minister Theresa May said: ‘The UK is one of the founding members of Nato and I am very pleased that the Secretary General has asked us to host a meeting of Nato leaders this year to mark its 70th anniversary. ‘For 70 years Nato has been the cornerstone of our national security. But today’s challenges are very different from those we faced when the Alliance established its first headquarters in London. ‘The UK has played a central role throughout Nato’s history as it has adapted to deal with new and complex threats to our security. President Trump has been a frequent critic of Nato and senior members of the alliance failing to spend enough on defence. Just six members of the alliance – including Britain – hit a 2 per cent target in 2017 with major nations including German and Canada failing to hit the mark. Policing President Trump’s four-day visit to the UK last year cost more than £14.2 million, according to figures revealed this week. The Home Office reimbursed £7.9 million to cover the additional costs to the three forces in England that ‘hosted’ Mr Trump – the Metropolitan Police, Thames Valley Police (TVP) and Essex Police. The Treasury was to refund Police Scotland. Nato last hosted a summit in the UK in 2012, allowing then David Cameron to seize on the chance for a high profile visit from Barack Obama. On that occasion the meeting was held in Newport and Cardiff. 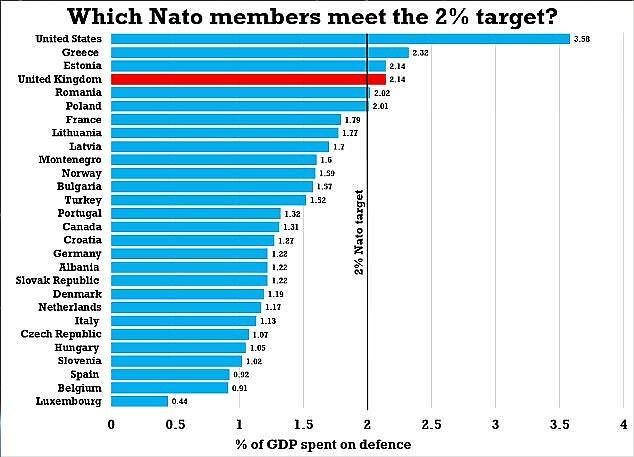 What do Nato members spend on defence?